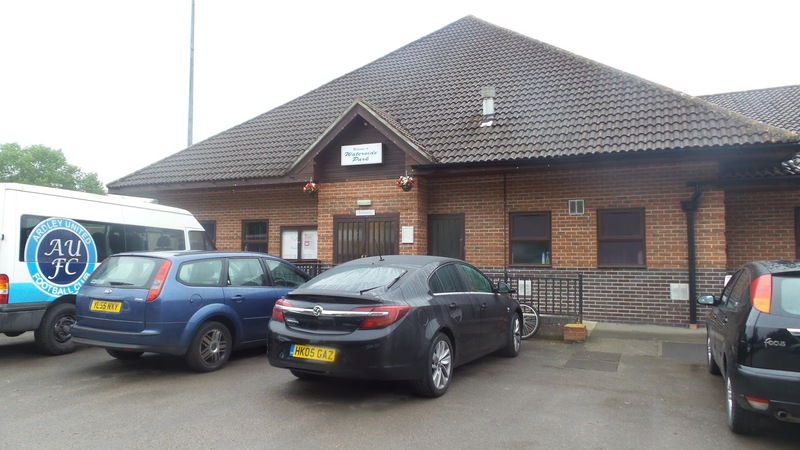 The club as founded in 1892, and were simply known as Thatcham until adding the 'Town' suffix in 1974. They playing in local leagues such as the Reading Temperance and Reading & District up until they became founder members of the Hellenic League in 1953. Their fortunes were certainly mixed with highs such as their Championship win in 1975 contrasted with their lowest ever finish of 13th in the second tier just 4 years earlier. They also had tougher times going into the 1980's, back in Hellenic Division 1 and the decision was made to switch to the Athenian League in 1981. It was a turbulent time for the club, after 2 disappointing finishes the Athenian League was disbanded and so they played a couple of seasons in the London Spartan, with much-improved placings. 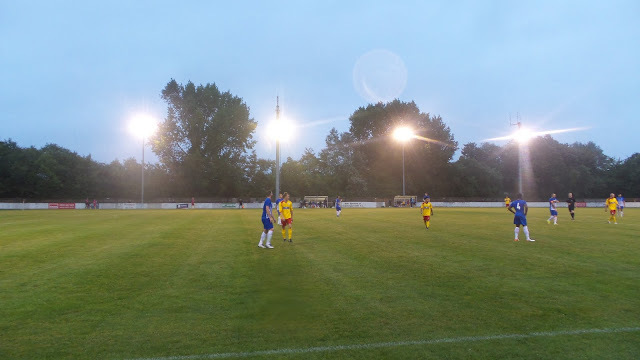 The good performances continued when they joined the Wessex League in 1986 with Thatcham Town a regular fixture in the upper echelons of the table, winning the league in 1996. 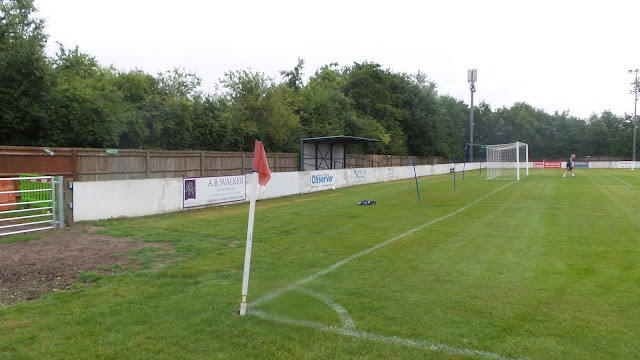 They were runners-up for the second time in 2006 as they finished behind Winchester City and this earned them promotion to the Southern League Division 1 South & West. They would stay here until 2014, with a best ever finish of 5th in 2011. In 2014 Thatcham would return to the Hellenic League following a 19th placed finish and have remained there ever since, finishing as runners-up last season. 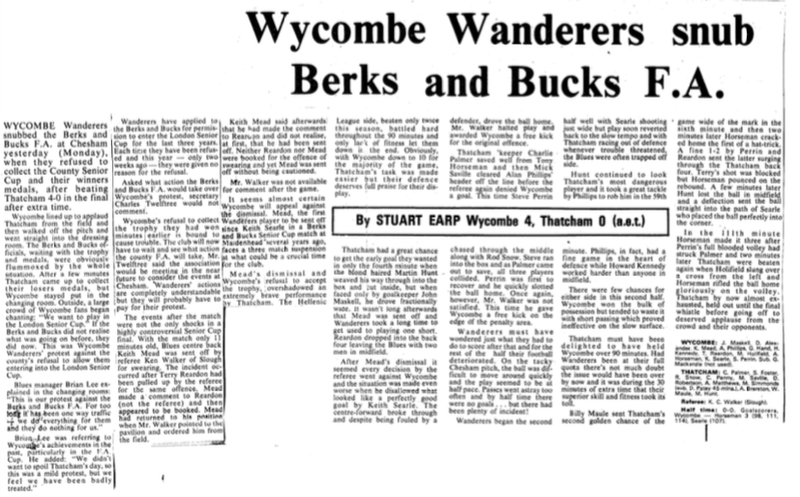 A number of local cups have been won, though surely one of those strangest 'wins' came in 1975 when they were awarded the Berks & Bucks Senior Cup, despite losing 4-0 to Wycombe Wanderers in the final. There had already been controversy in the game when Wycombe player Keith Mead was sent off for swearing at the referee. Commonplace nowadays, but frowned upon then. Wycombe were expected to beat their opponents easily, but in the end they needed extra time to do it. 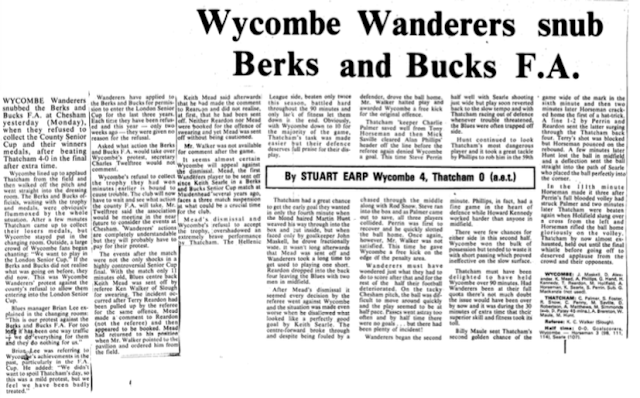 At the end of the game they returned to their dressing room and refused to collect their trophy and medals - the reason for this being that they wanted to play in the London Senior Cup, but after applying for permission for 3 seasons in a row, they were on each occasion denied by the Berks & Bucks FA. 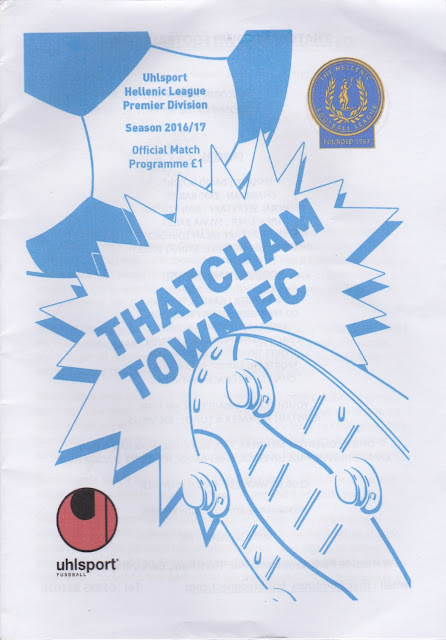 As a result, they snubbed the committee and in the aftermath, the trophy was awarded to Thatcham instead. 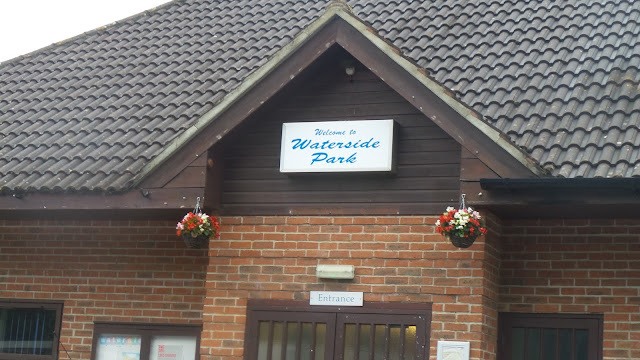 My first visit to Thatcham Town's Waterside Park came in November 2007 for Wycombe Reserves' Bucks and Berks Quarter Final game. I had been hoping for this draw as I had not been to Thatcham before and for once I got what I wanted. On the day we left Wycombe at 5PM and were planning to have a pub meal. Sue, Paul and I were in luck - there was a pub that did food a few hundred yards down the road. I was hungry and so opted for the 1LB Burger - a real beast but I finished it, along with a couple of pints of Magners. The game itself was not bad. 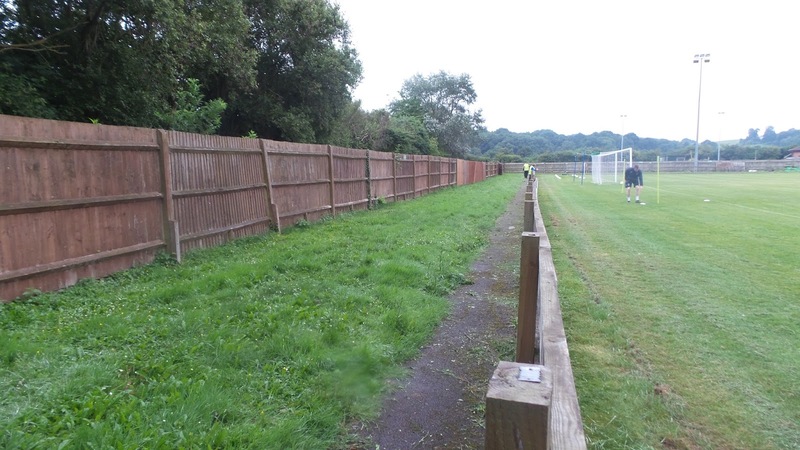 We had a number of first team players in the squad, notably Tommy Doherty who was coming back from injury. Wycombe took the lead after a couple of minutes when John Sutton tapped home Reuben Reid's right wing cross. And the lead was doubled on 57 minutes, central defender Lewis Christon smashing in a 25-yard volley. This was to be the first game in a busy week for me. I'd bought a ticket for the West Ham United v NK Domzale game. It was a real bonus to get a ticket for the first ever West Ham game at the Olympic Stadium, and along with a fair few people I know, I was glad I was attending such a historic occasion. The ticket was £22 which was a great deal, however, I still needed to go easy tonight as it was FA up weekend coming up and I was going to be doing at least 2 games. So I narrowed it down to 3 choices - a new ground at Andover Town, or a revisit to North Greenford United or Thatcham Town. 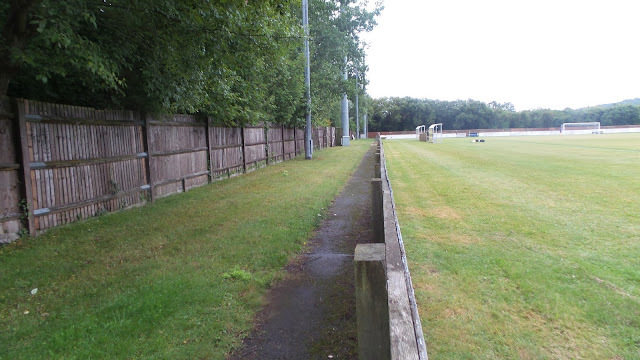 I decided to save Alton for the winter months as it's a 3G and already had a programme and some good pictures from North Greenford, so I decided I'd be heading to Berkshire on the first Tuesday evening in August. On the day of the game it was my usual day off work. Not only was there constant drizzle and rain but I was also busy sorting out issues with my Oukitel K10000 Phone. I'd been trying to update the firmware for a week with little joy, the manufacturer was unresponsive and all attempts at getting help from an online forum proved futile as none of the solutions worked. Worse still I'd performed a factory reset, but something had gone wrong and performance was sluggish, making the phone unusable. Luckily by lunch time I had sorted, but I begrudged giving up my entire morning just to get it working again. I went down town at lunchtime to see if I could get a monitor for the PC I plan to purchase, but I was out of luck. I consoled myself by having a Chappal Kebab and chips off the great Asian stall in Wycombe market. It was delicious and only £1.80. I still had some work to do to get all the apps back on my phone, but I was in a generally better mood in the afternoon with some of the issues sorted. There were still a few apps that were not quite right and I was annoyed that I'd had to spend most of my day off sorting out something that should just work. I had a dinner of Chilli Stir Fry before leaving for the game. I discovered a mile up the road that I'd forgotten my camera and so went back to get it. It was 5.55 by the time I left, but luckily I made decent progress. That was until a few hundred yards from the ground where a ridiculous level crossing kept me waiting for nearly 20 minutes with only 3 trains passing though. This bad management caused a huge tailback and wasted a load of fuel as several cars were sat idle for ages. I go to the ground at 7.20 and parked up. 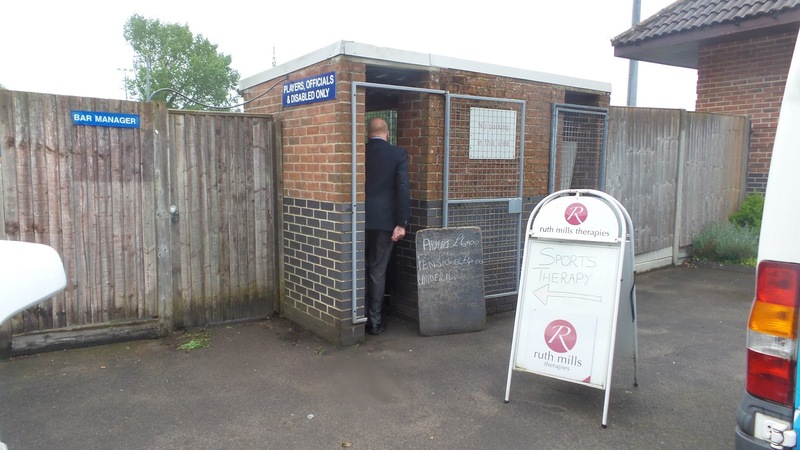 I paid £6 to get in, but had to wait around 10 minutes for the programmes to arrive as the hard working turnstile operator couldn't reach the office to get them. When they did arrive, they were a good solid effort for £1, especially early in the season when there's not so much to report on. I walked round the ground getting some pictures, having to endure some pretty dreadful pre-game music through the cracking tannoy and would have preferred if, like at most step 5 clubs, they had silence instead. There was just enough time to catch up online before the game kicked off. 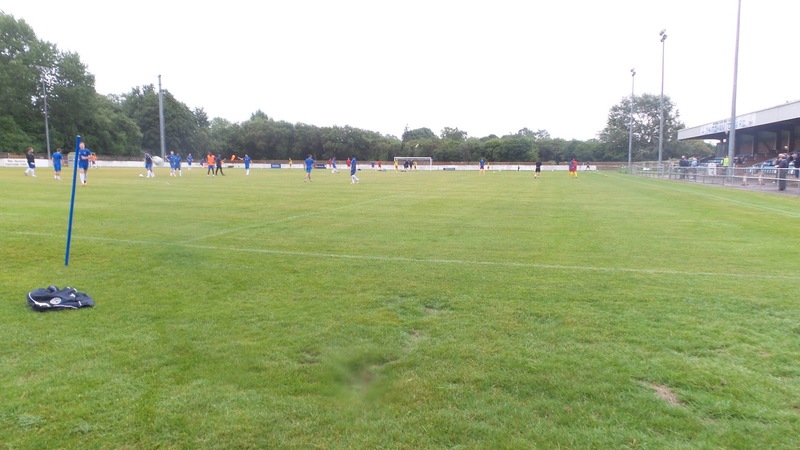 I chose to stand on the far side for the first half of the game, and it started very openly with both sides being within inches of scoring in the opening 5 minutes. Thatcham had edged it, but it was the visitors Ardley that took the lead 20 minutes into the game, Elias Katsaloudi with a decent finish. Ardley United started to have the better of the game towards the break and it was a really entertaining contest that deserved more goals. 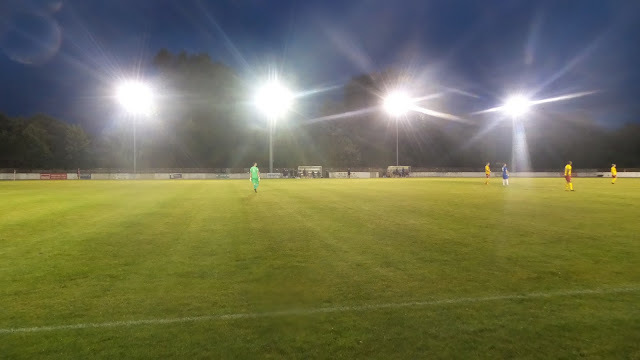 The second half was more of the same, with Ardley having several chances to extend to extend their lead but not taking them, whilst at the same time clearing a couple of Thatcham efforts off the line. It had been another good night of football and a pleasant revisit. I was still having issues with my phone though and at half time I started the process online to return it as faulty. It was a good drive home with no delays and I got home at 10.20. I ordered the new PC I was thinking about getting after getting a good deal from a seller, hopefully this will prove to be less stressful than some of my other tech exploits lately. 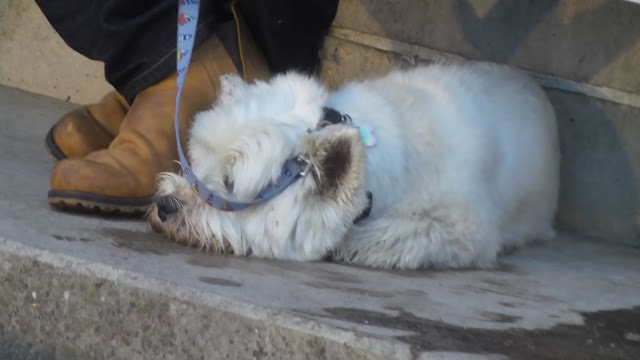 I was still wide awake well into the small hours, but I must have got some sleep as I still felt fairly fresh the next day, despite laying awake for ages and having to get up at 4am in the morning. 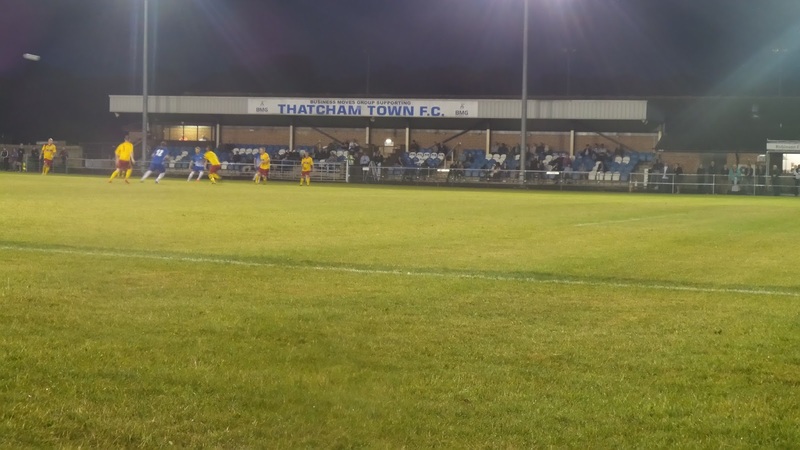 Thatcham Town moved into WATERSIDE PARK in 1992, as part of plans to move the club forward. They enjoyed their record crowd of 1400 the following season when Aldershot Town were the visitors. It's certainly a nice place to visit, and very friendly. 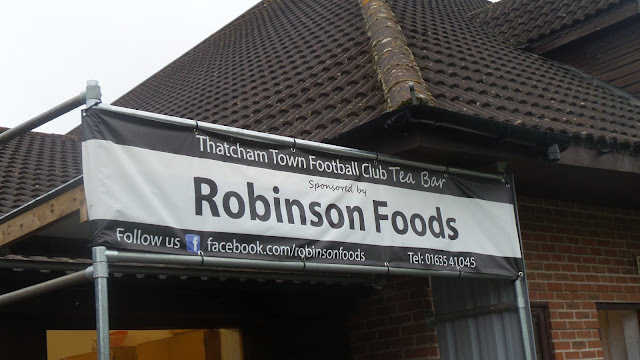 There is a pub near the ground which does food, plus the town of Thatcham itself a mile away, whose outlets include a Wetherspoons. 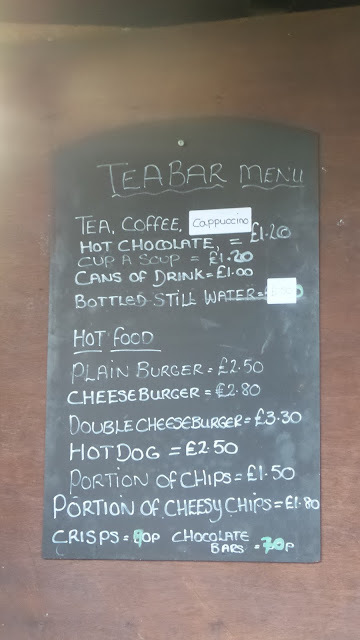 At the ground there is a bar which I didn't go in, and also a tea bar which although I didn't try anything from seemed to be dishing out a decent variety of food at decent prices, with the portions decent too. As for the ground itself, it's set in a pleasant green setting. 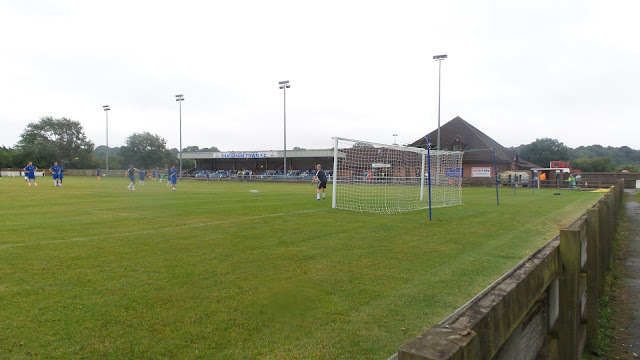 The focal point of the ground is the main stand, which is of a decent size, holding around 200-250 fans. There is further cover in the form of a metal arena type stand behind one goal which was put in to comply with ground grading regulations when they were in the Southern League, and is a functional, but dull solution. 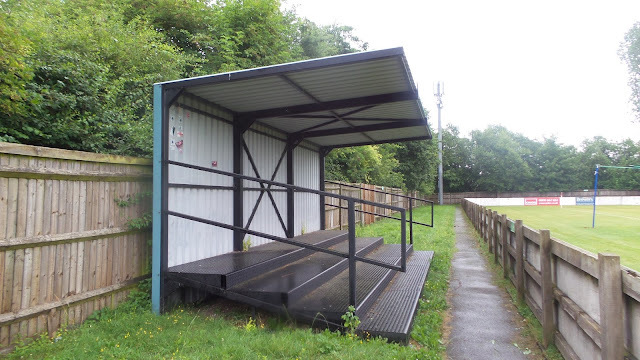 The rest of the ground is open with the dugouts set quite a way in front of the standing area which meant I couldn't stand between them and listen to the interaction between the 2 managers. Overall, well worth a visit, and one of the better grounds in the Hellenic League.